LAS VEGAS—CES is the best place to find outrageous TVs: OLED, 4K, curved, flat, smart, 100-inchers, you name it, some costing in the five-figure range. But if you poke around you can also find some TVs that make sense to normal consumers—TVs you can buy at Walmart. Last year, Roku made a splash by partnering with Hisense and TCL to release bargain-priced 1080p smart TVs with the full Roku experience built right in. In 2015, Roku TV is expanding its range to new partners, and even taking steps toward 4K. Roku passed 2,000 channels in 2014, and the Roku TV, like this one from TCL, lets you stream any of them with no set-top box or streaming stick required. Roku TV’s initial lineup is 1080p only, but 4K is on the way. 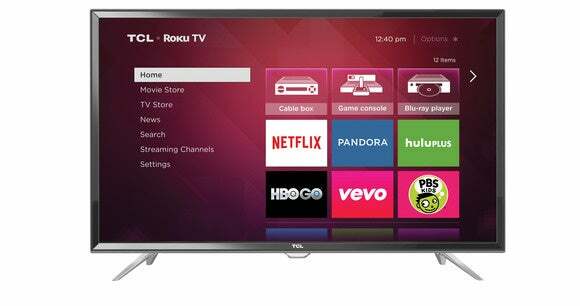 Roku has built a reference design, and TCL is on board to produce the first models. The reference design is basically a motherboard that Roku produces, along with the Roku OS, to ensure that all the service’s 2,000-plus channels will work across all the TVs. The OEM partners like TCL fit the motherboard into their chassis and add the screen, backlighting, speakers, and so on. But there’s no point in going 4K if all you’re going to watch is up-sampled 1080p content. 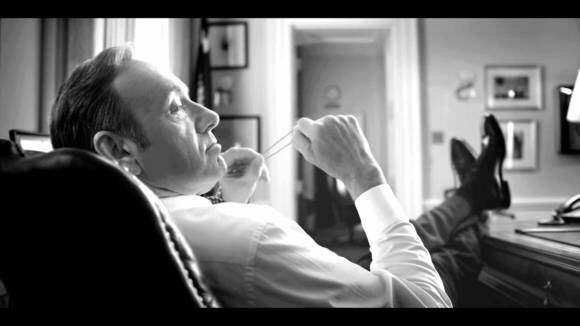 Roku also announced that Netflix will bring its 4K content to the Roku TV. Naturally, the company wants to expand from there, although Roku’s reps had to keep mum when I asked about Amazon Instant Video streaming in 4K, or 4K support coming to future Roku set-top boxes as well as the TVs. Roku also inked deals with two more manufacturers to give consumers more Roku TV models to choose from. Insignia, the house brand of Best Buy, will roll out multiple Roku TVs starting this spring. 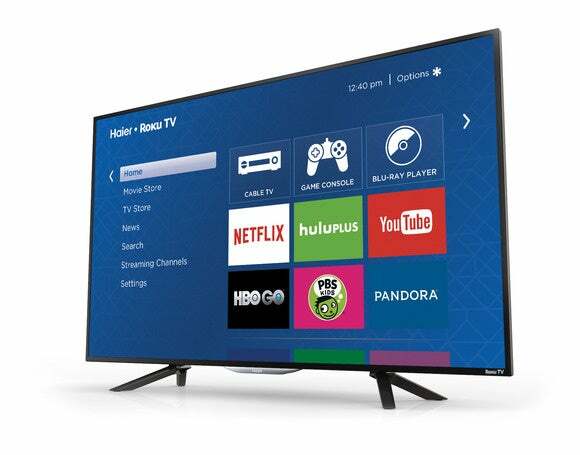 Haier America also plans a range of Roku TV sizes, from 32 to 65 inches, landing on store shelves in Q3. Haier was already part of the Roku Ready program, which bundles a Roku Streaming Stick with a “non-smart” TV, so it makes sense to take that next step and make a full TV. Haier's 1080p Roku TVs should be out in later part of 2015. The key advantages to Roku TV are ease of use and low price. If you’ve used a Roku box, the Roku TV’s interface is instantly familiar—because it’s pretty much the same. Once you log in to your Roku account, all the channels you’ve subscribed to are already there, and when it’s time to add more, the built-in Channel Store makes browsing through the 2,000 offerings (and counting!) a snap. And even though the TCL and Hisense Roku models I’ve seen in person look good, with deep blacks and vibrant colors, they’re surprisingly affordable. 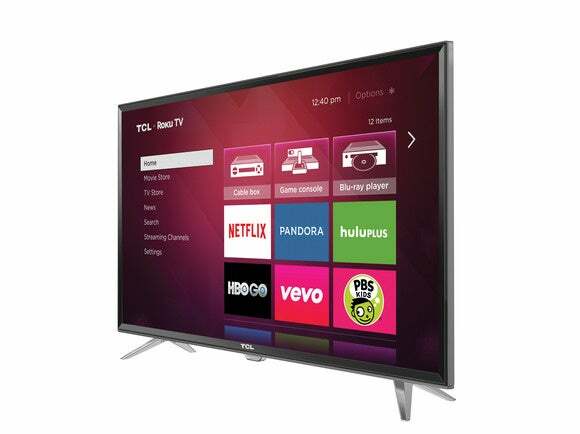 You can pick up TCL’s entry-level model, a 32-inch 720p Roku TV, at Walmart for $188. Not too bad when the Roku 3 box by itself would run you $100. Stepping up to 55-inch 1080p TCL Roku TV is still a hair under $500. Suddenly those $4,000 curved TVs don’t seem quite so rich.